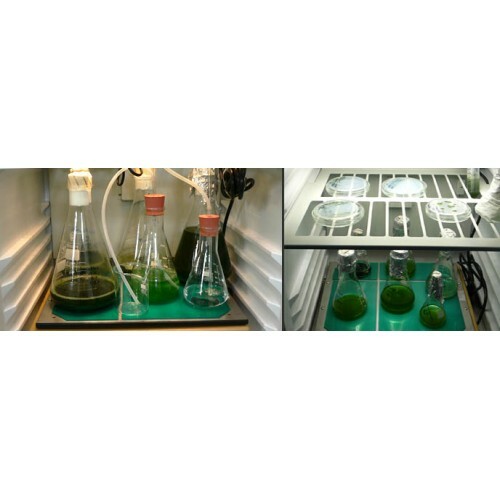 AlgaeTron AG 130-ECO is a floor standing incubated shaker that provides well-defined culture conditions for growing algae and cyanobacteria in Petri dishes or Erlenmeyer flasks. It is equipped with a large, easy-to-read display screen clearly showing operating parameters and actual values. Intuitive programming allows multiple parameter changes to timing, light intensity, light characteristics, temperature, and shaking power. 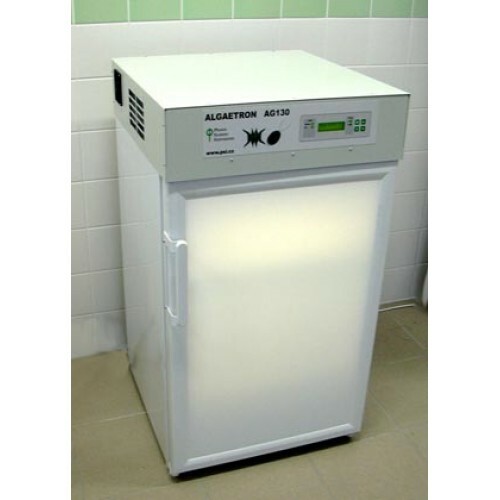 With its compact dimensions and small footprint, the AlgaeTron AG 130-ECO saves precious laboratory space and is perfect for small-scale applications. It has one illuminated space with an additional bottom shelve. 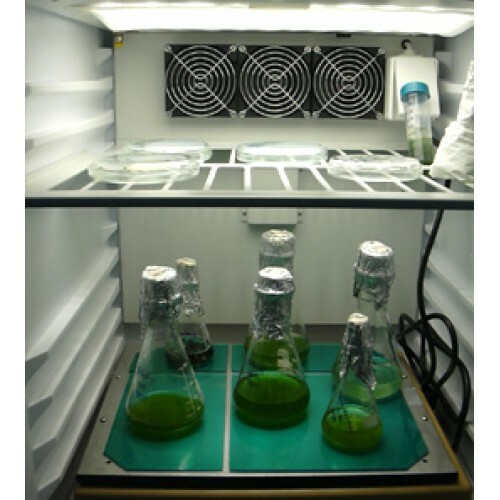 AlgaeTron AG 130-ECO features an internal electrical outlet (EU type) for attachment of a dedicated orbital shaker SHK-2013. Use of different types of shakers is not recommended! Wider range of cultivation temperatures. Temperature control range: +10 to +55 ºC (with maximum illumination). 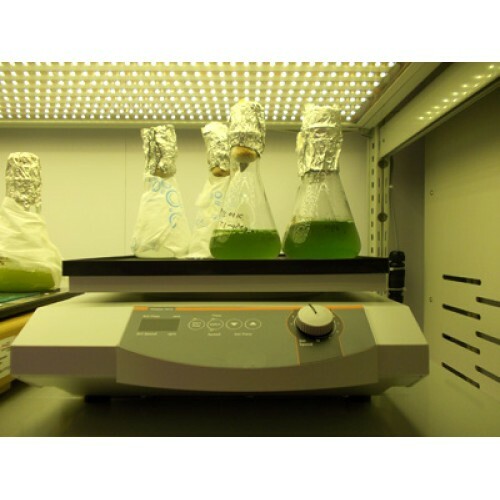 Maximum Illumination Intensity: 500 µmol(photon)/m2.s for warm white; 1,000 µmol(photon)/m2.s for cool white. 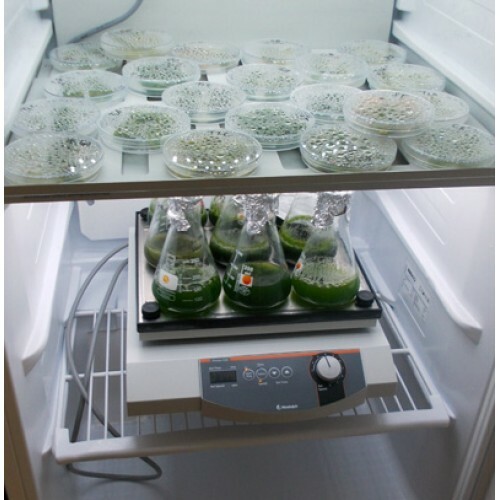 AlgaeTron AG 230 is a floor standing incubated shaker that provides well-defined uniform envi..